I hope that you had a good weekend and the weather where you are has been kind. It is very cold there today but at least there is no snow. 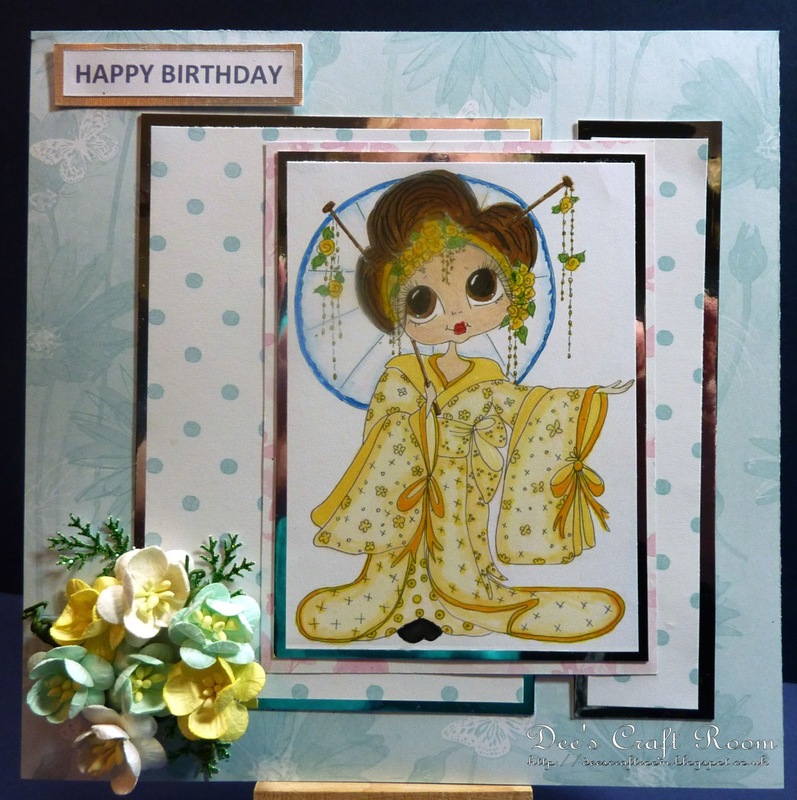 Today I have another of the Sherri Baldy geisha girls from The Scrapbook Stamp Society, this one is called Jasmin Geisha. I coloured the image with Promarkers and Wink of Stella pens. I mounted it on silver mirri, the papers are from a Papermania stack and the cherry blossom flowers are from Wild Orchid Crafts. Don't forget to enter the challenge at Crafty Boots Challenges, the theme is 'Flowers'. 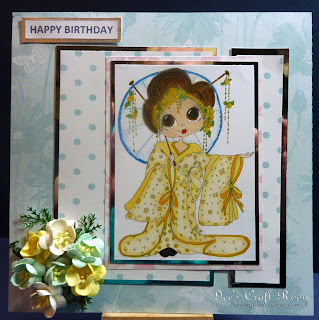 Another super gorgeous card, Dionne!!!! Love Jasmine and the way you coloured her in. Love the papers you used and the miri gives it that extra bit of sparkle.